One of the main reasons why Montana is not famous for its vegetable production is because of its short growing season. According to the United States of Department of Agriculture, the majority of Montana acreage is devoted to low-priced crops such as potatoes, pumpkin and sweet corn. Other vegetables can grow as well, provided one follows proper planting requirements and care. 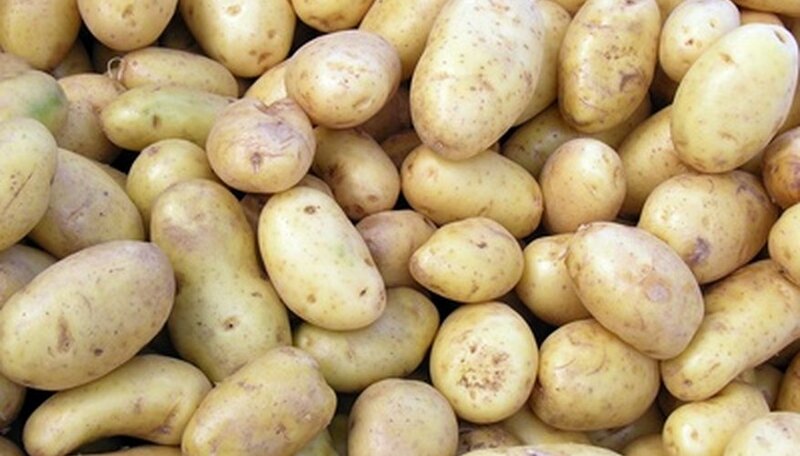 Belonging to the root family of vegetables, potatoes need full sun and temperatures of 60 to 65 degrees F; planted one week before last frost to 17 weeks before the first frost, potatoes take 80 to 140 days to mature. Potato tubers are frost-hardy. Carrots, beets and parsnips are other examples of vegetables belonging to the root family. Broccoli belongs to the brassica family and needs at least five hours of sunlight daily in 50 to 65 degrees F of soil temperature. Planted six weeks before last frost to 14 weeks before first frost, broccoli matures 60 to 80 days after transplanting. Cabbages and kales are other examples of brassicas that grow well in Montana. Cucumber, belonging to the curcurbits vegetable family, requires at least five hours of direct sun. It is not frost-tolerant, but can grow in greenhouses. Soil temperature requirement is 65 to 85 degrees F. Plant one week before the last frost to 12 weeks before first frost. Start transplanting in four weeks. Pumpkin, winter squash, summer squash and watermelon are other examples of vegetables considered as curcurbits. Peas are legumes that need full sun. They are very frost-hardy and require 50 to 70 degrees F of soil temperature. Plant peas directly as seeds four to six weeks before last frost or two to three weeks after first frost. Peas take 55 to 90 days after direct seeding to mature. Lima beans and snap beans are other legumes that grow well in Montana. Onions are members of the allium family that can grow in greenhouses at 50 to 80 degrees F of soil temperature. Plant sets and seeds at least three weeks before last frost, to two weeks after first frost; transplant four to eight weeks after. Onions are frost-hardy and take 40 to 70 days from sets to mature. Chard, which belongs to the leaf family, is frost-hardy and needs at least five hours of sunlight to grow in 40 to 70 degrees F of soil temperature. Plant as direct seeds four weeks before last frost to six weeks before first frost. Chard takes from 55 to 60 days to mature after direct seeding. Lettuce and spinach are other leaf vegetables that can do well in Montana. Celery, belonging to the stem family of vegetables, needs at least five hours of sunlight daily. Plant celery three weeks before last frost to 19 weeks before first frost. Start transplanting 10 weeks after. Celery is frost-hardy and can take up to 125 days to mature after direct seeding. Pepper belongs to the summer-fruiting family of vegetables. It needs at least six hours of sunlight daily and 65 to 85 degrees F of soil temperature to germinate and grow. Plant pepper seeds one week before last frost to 17 weeks before first frost and transplant six to eight weeks after. Peppers take 50 to 75 days to mature after transplanting. A tomato is another example of summer-fruiting vegetable that does well in Montana.